The world is migrating to the cloud. Cloud services are booming, cloud-based content providers are expanding, and enterprises are adopting hybrid cloud strategies. Cloud growth drives tremendous demand for high-capacity data center interconnect (DCI) that scales simply, efficiently and securely. 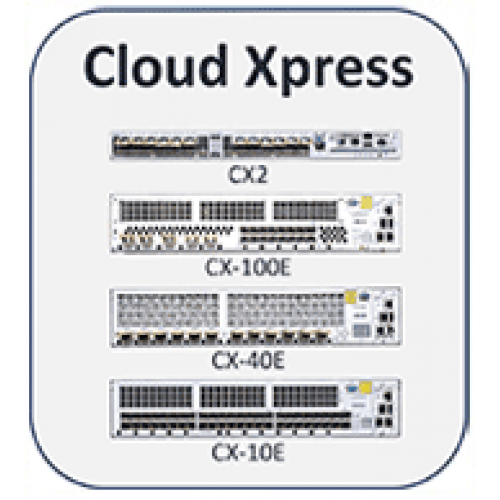 The Cloud Xpress Family includes multiple models designed to meet the varying needs of cloud service providers, internet content providers, internet exchange service providers, enterprises and other large-scale data center operators. 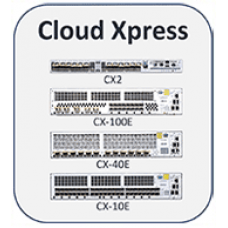 The first generation of the Cloud Xpress includes four models supporting varying configurations of 10 gigabit Ethernet (GbE), 40 GbE and 100 GbE Ethernet ports for client-side connectivity, and a 500 gigabit per second (Gb/s) wavelength-division multiplexing (WDM) super-channel output, all in just two rack units (2RU). The second generation, the Cloud Xpress 2, based on the Infinite Capacity Engine, is designed for scalable 100 GbE DCI over a 1.2 terabit per second (Tb/s) super-channel output in just 1RU. The Cloud Xpress Family features built-in optical amplification that enables reach of 130-150 kilometers (km) without external amplifiers. Combining this extended reach with super-channel line output, the Cloud Xpress Family delivers a combination of plug-and-play reach and capacity that is superior to alternative solutions, simplifying network deployment, configuration and ongoing management, and increasing reliability.